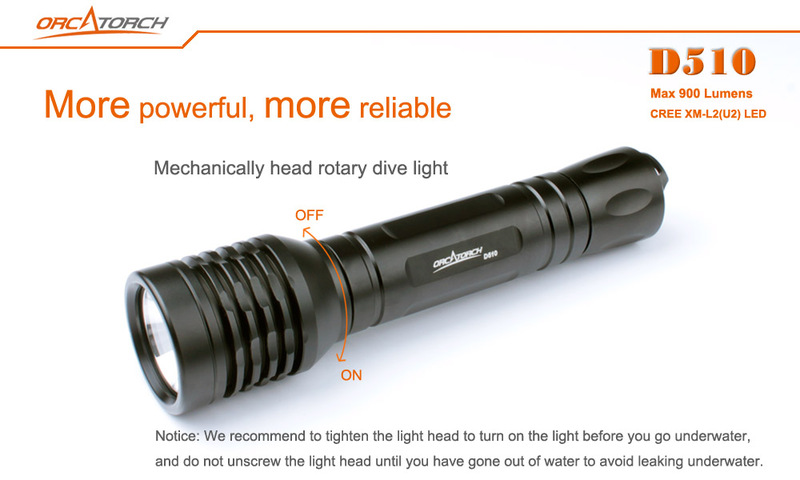 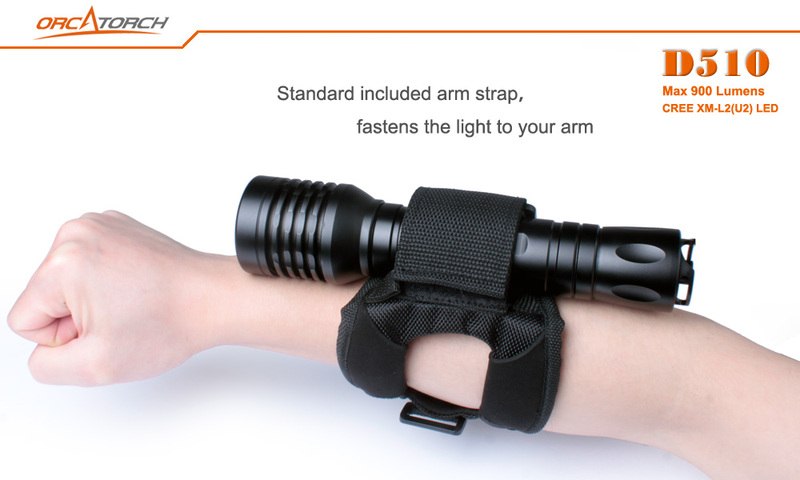 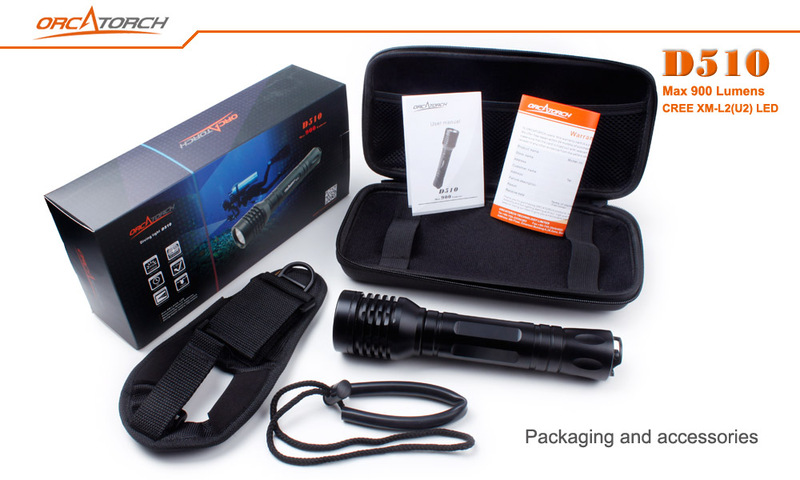 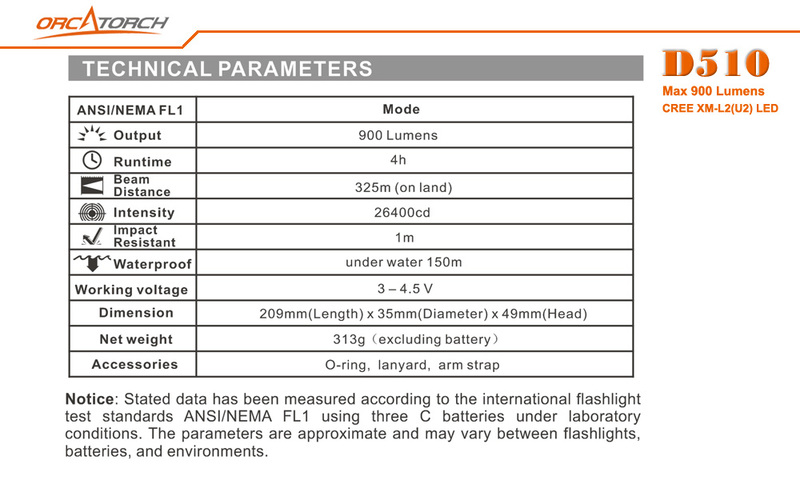 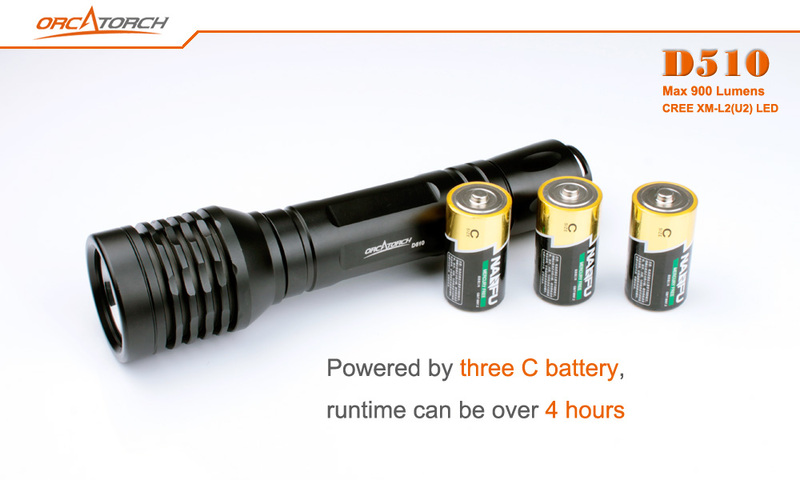 ORCATORCH D510 IS A PORTABLE FLASHLIGHT WITH A MECHANICAL ROTARY SWITCH FOR TECHNICAL DIVING USE. 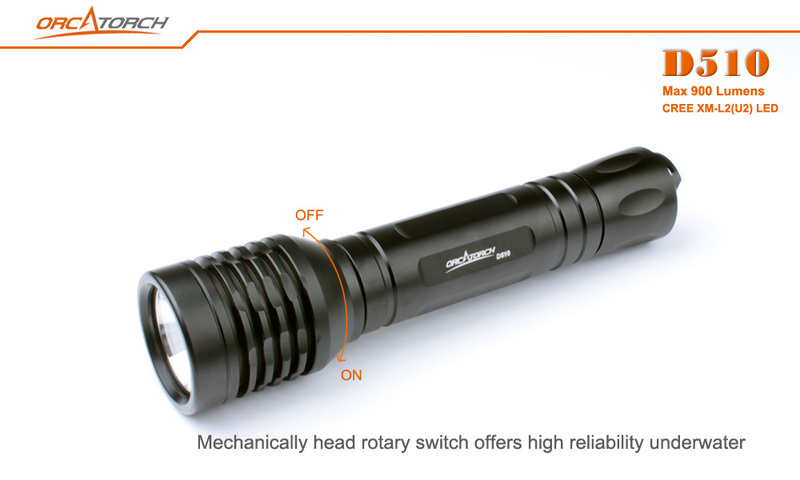 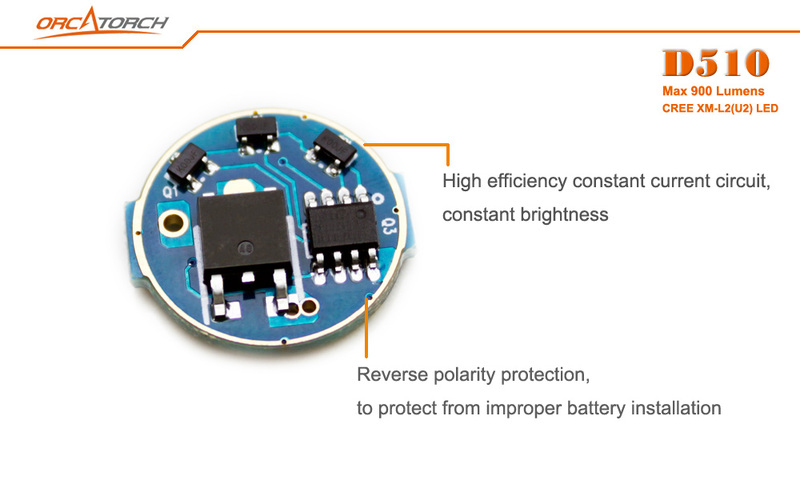 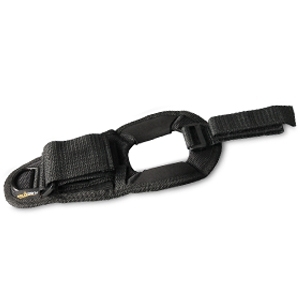 THE ROTARY SWITCH OFFERS HIGH RELIABILITY UNDERWATER. 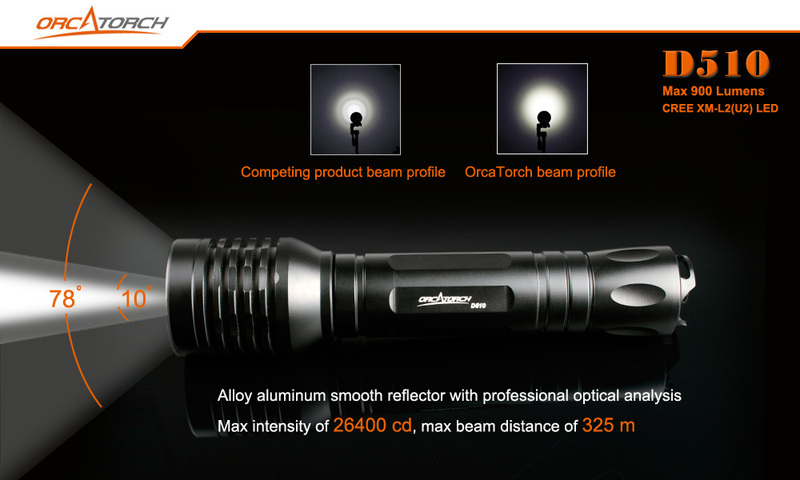 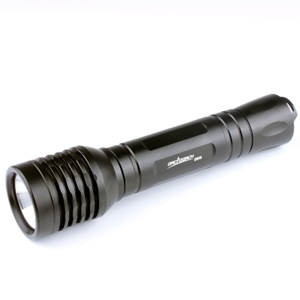 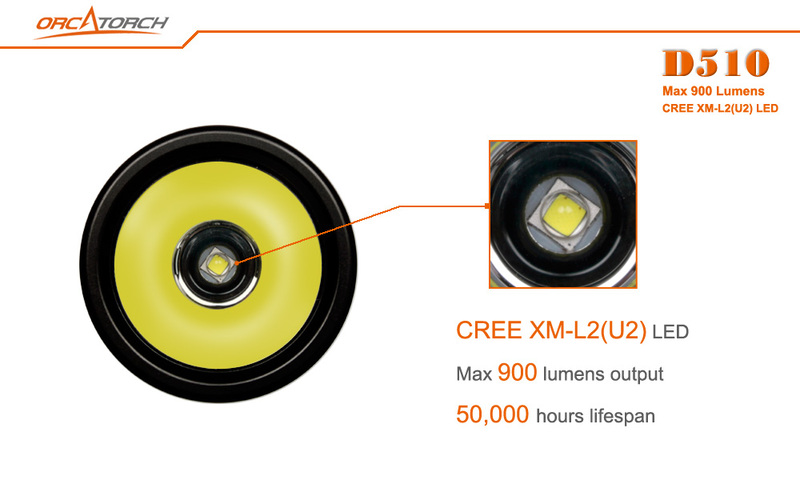 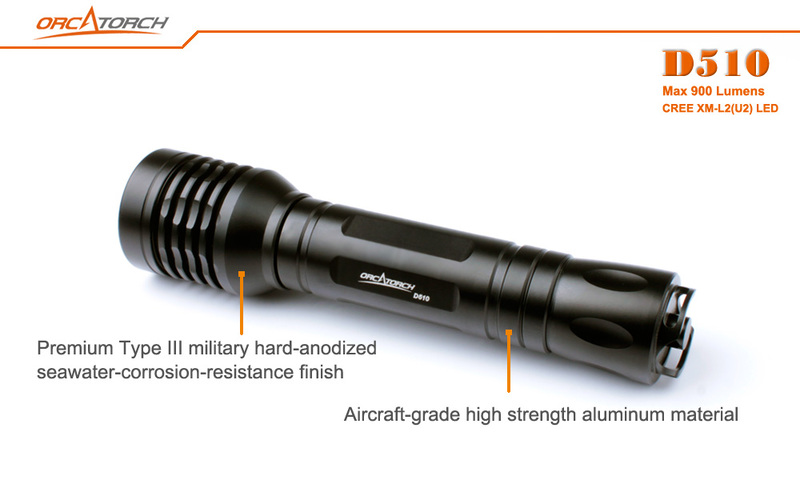 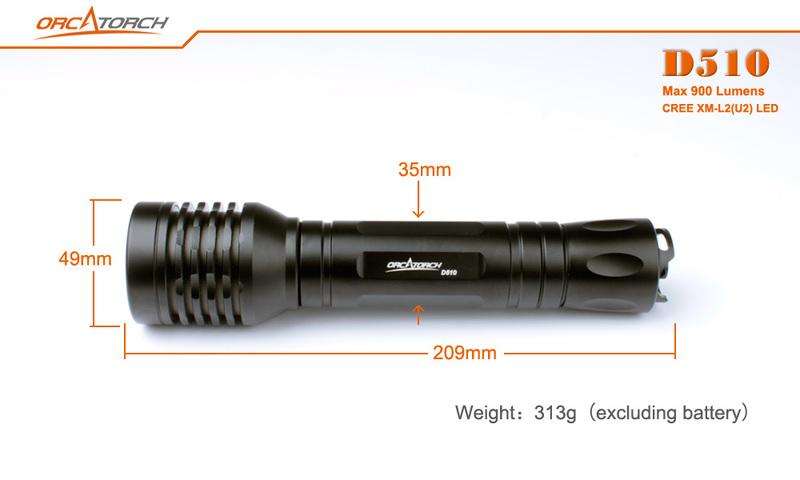 It can reach 900 lumens output using the latest USA CREE XM-L2(U2) LED and its runtime can be over 4 hours using C batteries. 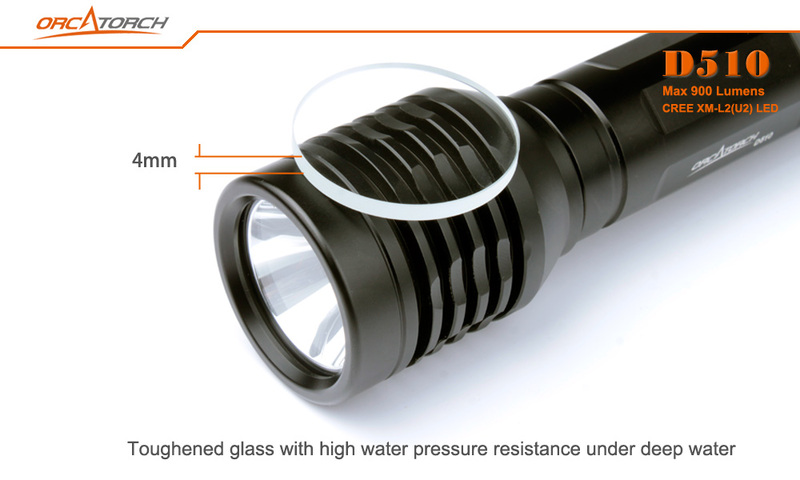 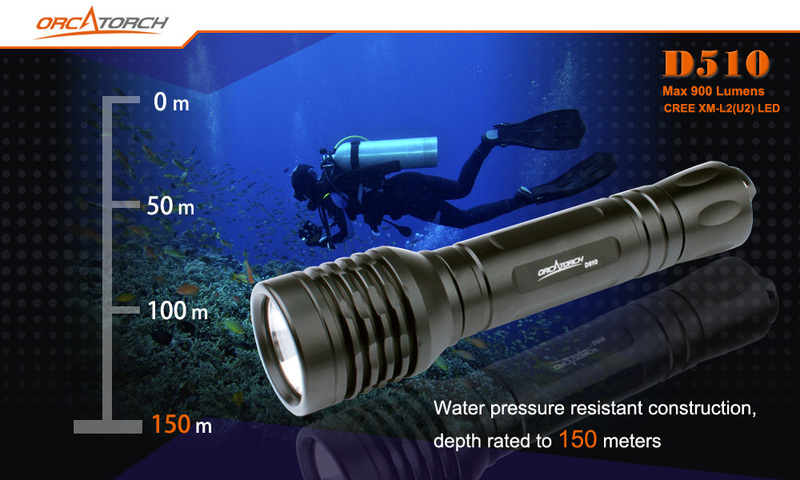 Plus simple style appearance, robust water pressure resistant construction, we believe it will be a reliable lighting tool for diving.